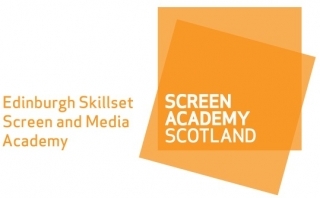 Screen Academy Scotland is a collaboration between Edinburgh Napier University and Edinburgh College of Art, dedicated to fostering the future of film makers. From film, TV, animation, photography, journalism and acting, our aim is to allow talent to thrive whilst equipping students with the knowledge and hands-on experience they need to become skilled, confident and employable graduates. SAS is one of only three Film Academies (along with the London Film School and the National Film and Television School) in the UK recognised by Creative Skillset as a center of excellence in film practise education. Since it was established in 2005 Screen Academy Scotland, has helped over 200 writers, directors, producers and animators to make their mark on the page, on the set and on the screen.